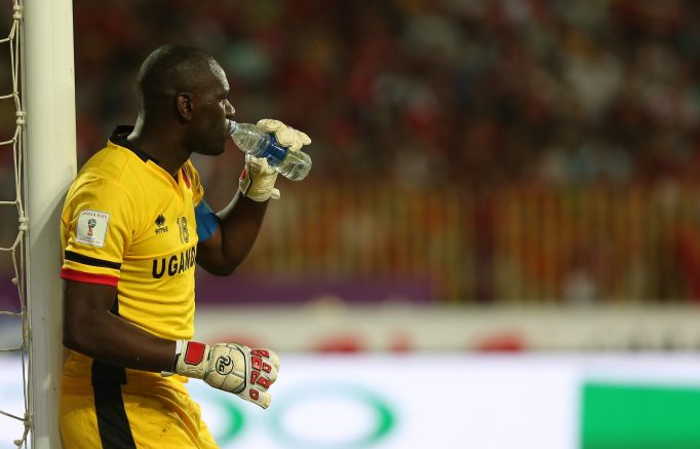 KAMPALA – Denis Onyango has been one of Uganda Cranes’ most consistent and loved players. 65 caps down the road since making his maiden bow for the National team in 2005, the skipper is still hungry as ever. He will lead the Cranes out of the tunnel on Saturday afternoon as Uganda prepares to tussle it out with Tanzania in a group L AFCON 2019 qualifier. Speaking ahead of the game, Onyango assured Ugandans that the team is focused enough and no one is paying much attention to Tanzanian star-player Mbwana Samatta. “We are well prepared for the game and the boys are fully focused to make sure we get the result that we want and that is to win, said Onyango. “It is a tricky game for either side given the fact that they are our neighbors. “Such games come with a lot of rivalry like we have seen in the past against teams like Kenya and Rwanda. “Samatta is a good player and has been on top of his form at his club but we are not only focusing on him as an individual alone. “He cannot play alone so we shall focus on the entire Tanzanian team. “Samatta is like any other good players that have come here but we have always stopped them. Therefore, as a team we shall try to make sure we do not give him and the entire Tanzania team the chance to hurt us. Asked if he thinks the Saturday encounter is crucial in Uganda’s bid to return to African Cup of Nations, Onyango indicated that every game is equally important. “We take a game at a time, he stressed. “The start was perfect for us because we managed to win against Cape Verde which is supposedly the strongest team in the group so we need to get a good result against Tanzania to make sure we get the job done as early as we can. Uganda leads group L with three points and victory will mean they maintain the top position ahead of Tanzania, Cape Verde and Lesotho.